Loaded baked potatoes are a popular side dish. The problem is that while they may be good for the tastebuds, they're not always so good for the waistline. The toppings aren't that bad, as a little bit of fat is actually good for the diet. It's the carbs that come with the actual potato that can do so much damage. The recipe that follows is a good solution for those who want all the taste of a delicious loaded potato without all those carbs. First, cauliflower is placed into a slow cooker with a little bit of stock and butter. 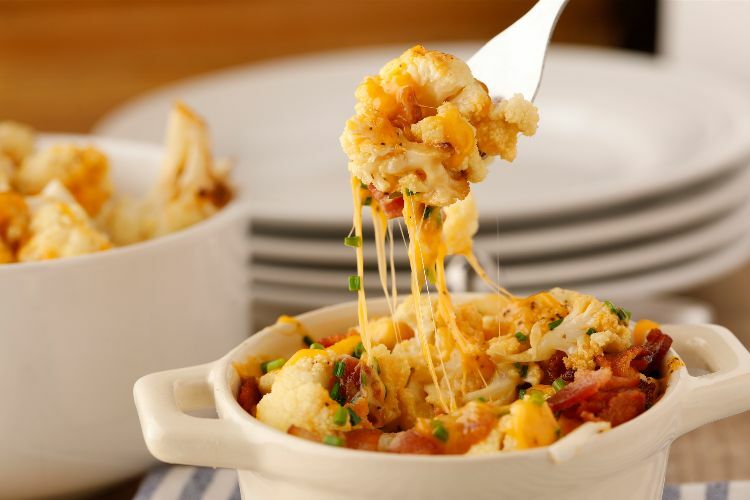 Just as the cauliflower is nearing the end of its cooking time, it gets covered in cheese and cooks a little more just to get the cheese melted. Spoon it all into a serving dish, sprinkle with bacon and chives, and you've got all the goodness of a baked potato. Not only is it healthier than a baked potato, it's even easier to make! 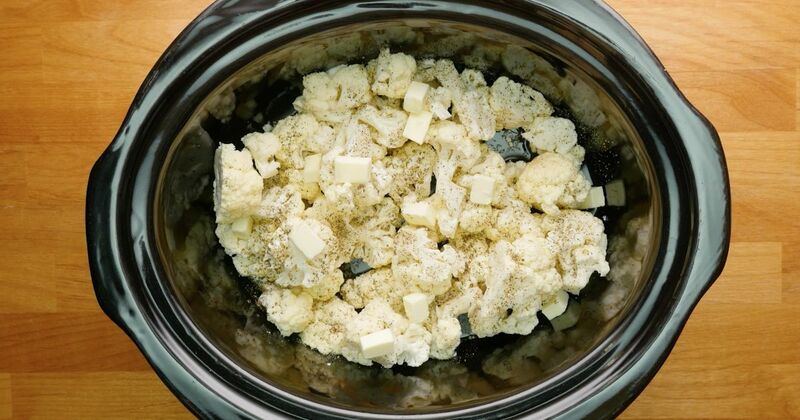 Place cauliflower florets into a 6-quart slow cooker. Sprinkle with salt and pepper. Add the chicken stock around the sides of the cauliflower. Do not pour over, as this can remove the seasoning. Place the butter pieces on top of the cauliflower. Place lid on the slow cooker and cook on low for 3 hours. Remove the slow cooker lid and add the cheddar cheese. Place lid back on and cook for another 30 minutes, or until the cheese is melted. While waiting for the cheese to melt, add the bacon pieces to a frying pan set over medium heat. Cook the bacon pieces until they are cooked through and crisp. Transfer to a plate lined with paper towels. When cauliflower is finished cooking, remove from the slow cooker with a slotted spoon and transfer to a serving platter. Sprinkle with cooked bacon and chives.